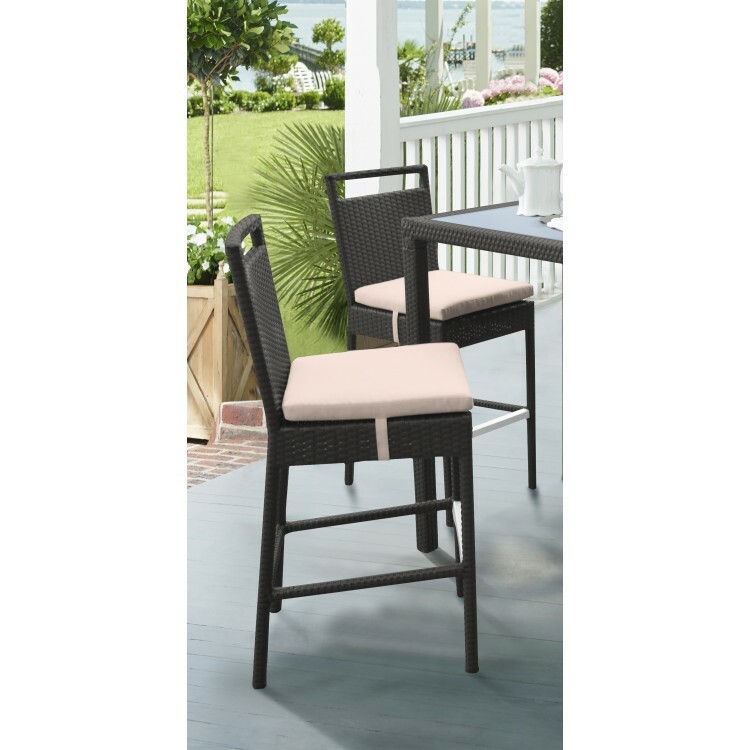 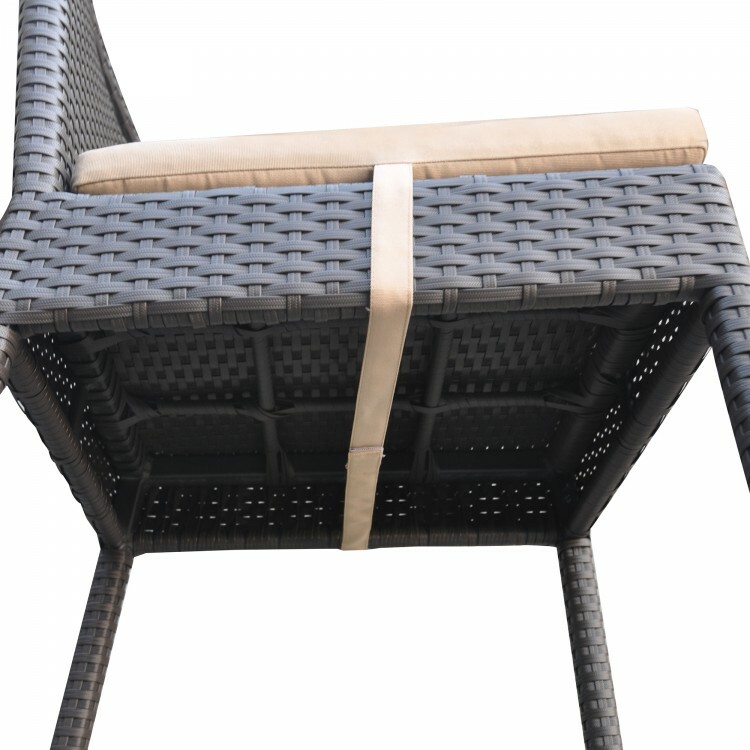 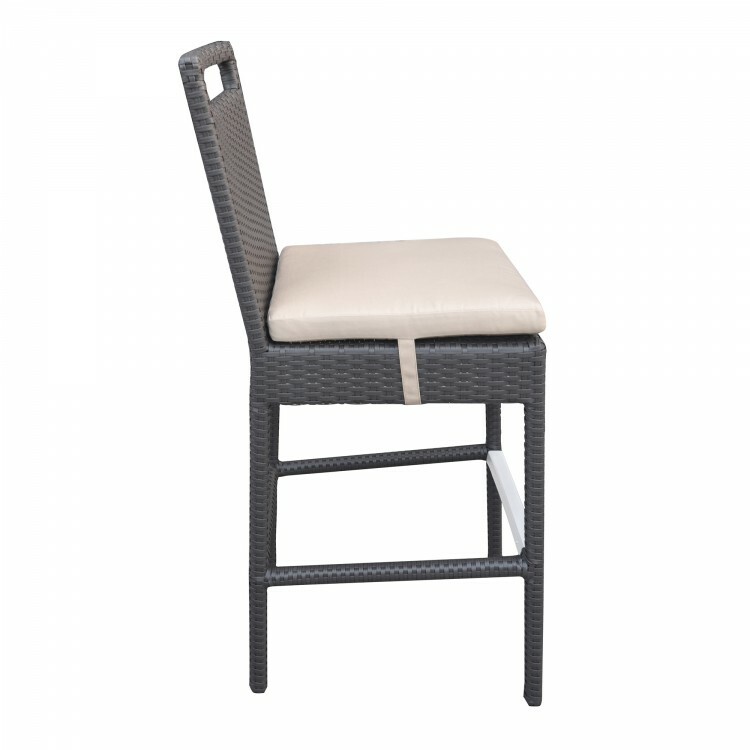 The Armen Living Tropez outdoor patio wicker barstool is an ideal piece to add to any contemporary patio arrangement. 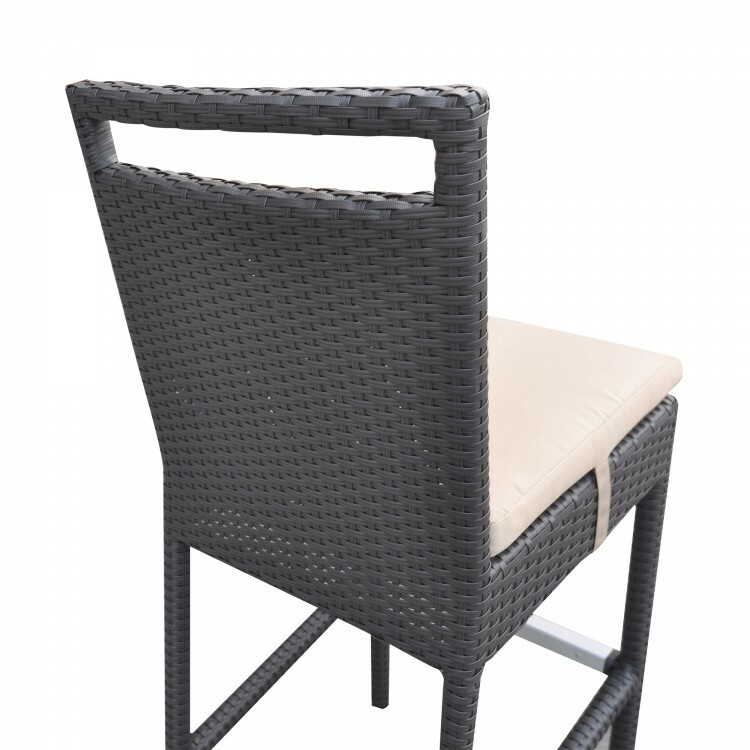 Featuring a durable aluminum frame covered by stylish black powder coat finished HDPE wicker, the Tropez assures dependability without compromising on aesthetics. 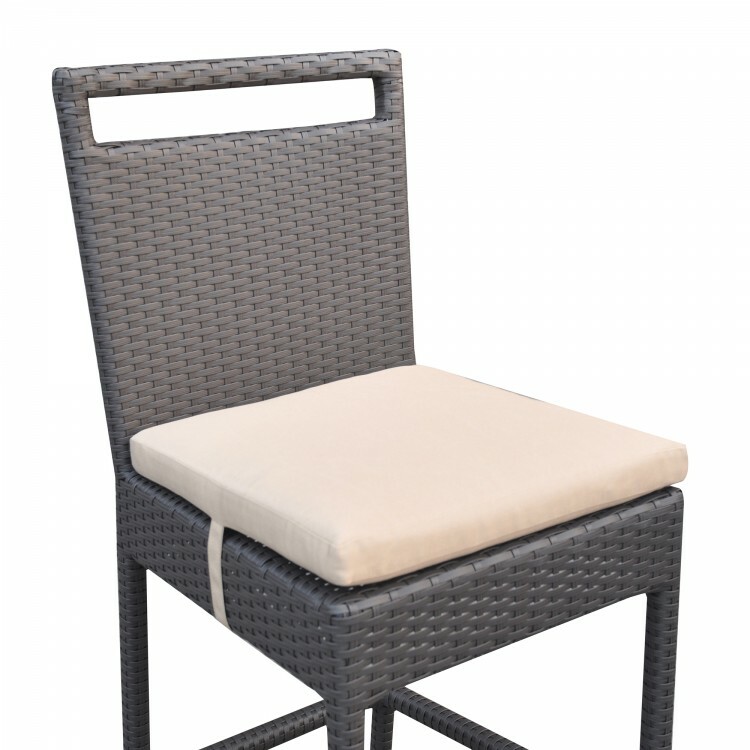 The Tropez's seat includes a foam padded fabric cushion that provides an exceptional degree of support. 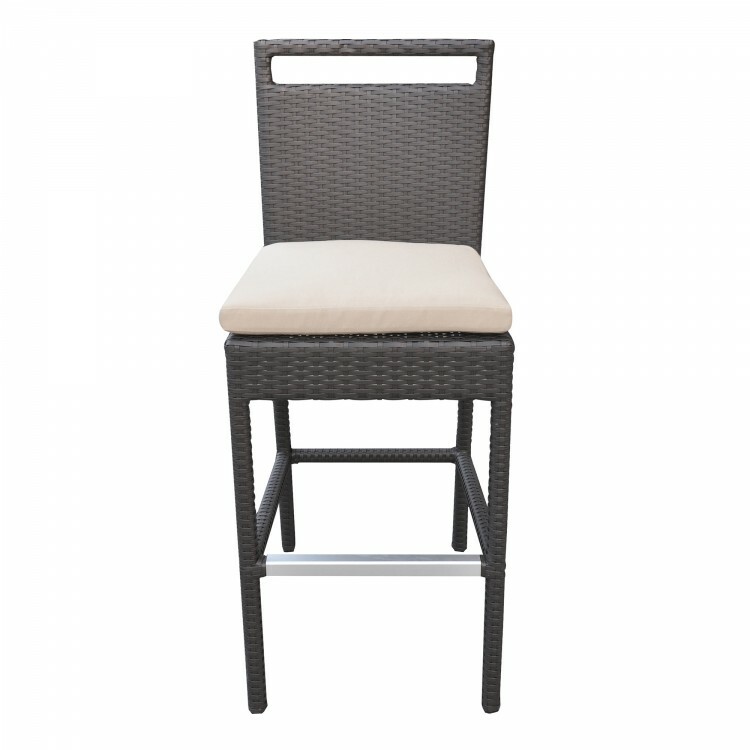 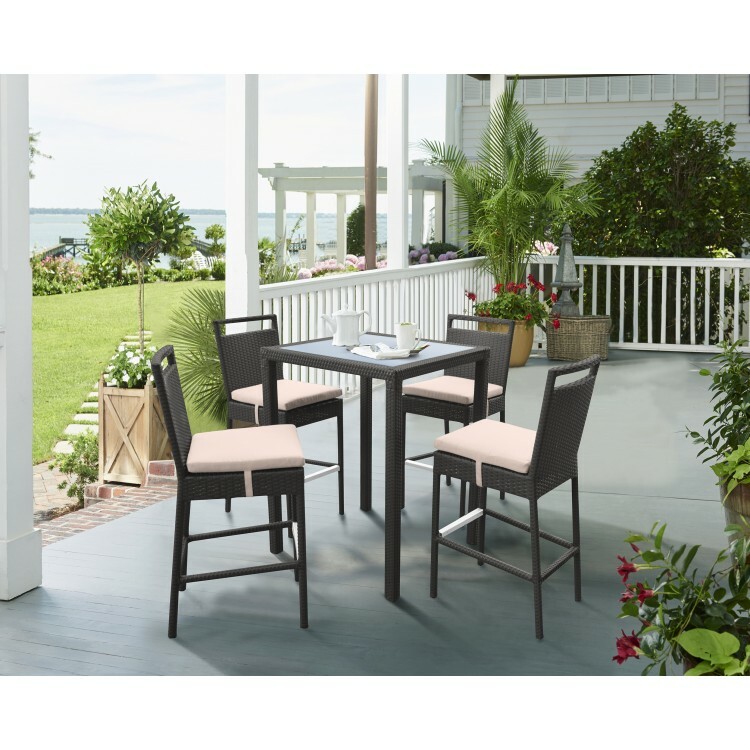 The Tropez's added footrest and tall back design only add to the comfort and sophistication of the barstool. 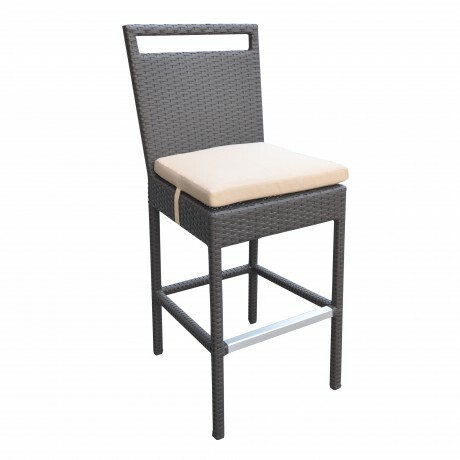 The Tropez is 100% waterproof and is available in a black powder coated finish with a beige fabric cushion. 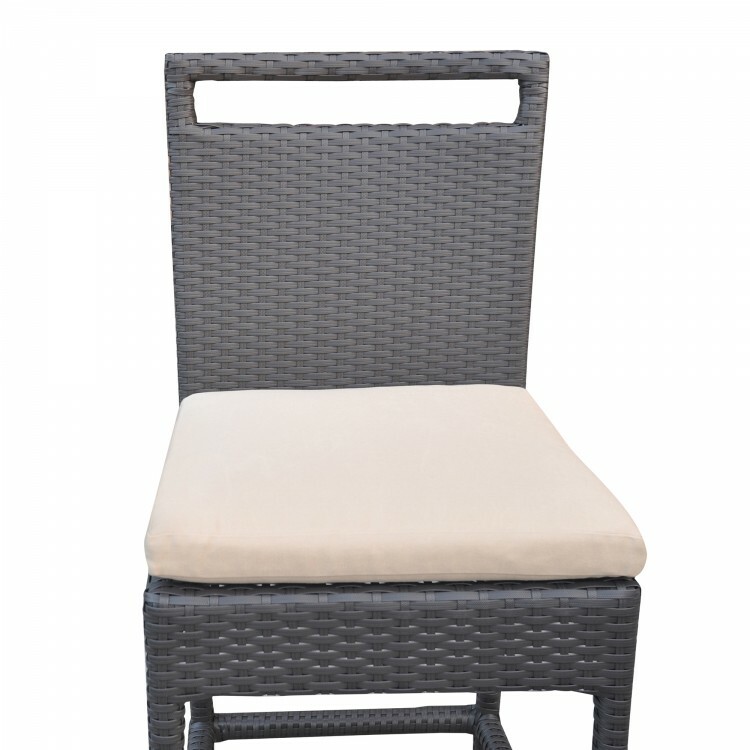 Product Dimensions: 18"W x 22"D x 46"H SH: 29"